This was such an adorable, heartwarming boy meets boy read! I adored Charlie in his geeky, lovable ways. It's easy to assume that a character like him wouldn't stand up for himself but he does against his ex and he's quite firm about it and I loved that about him - he sets the boundaries. I love how Charlie meets Nick and they form a deep connection with each other through a tentative friendship, then realising how much they enjoy each other's company and eventually, falling for each other. They are each in a different stage of their journey when it comes to their sexual preference which was good to see as well. Nick was super cute as well, he's a typical jock but he starts questioning everything after he meets Charlie and I loved following his journey as well. An adorable, light read that I really enjoyed! I received a review copy from the publisher in exchange for an honest review. 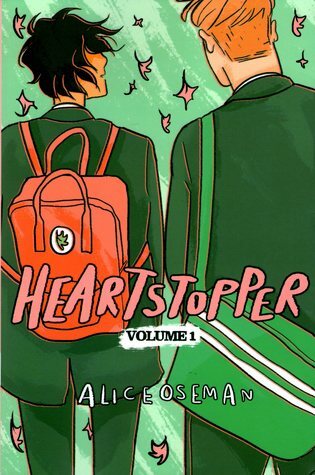 Sign into Goodreads to see if any of your friends have read Heartstopper.